Learning how to sew? Don't know where to begin? You've come to the right place! Featuring tutorials by both Annika and her favourite beginner tutorials from around the interwebs. You have just acquired a sewing machine. Excited by all of the cool design ideas running through your mind, want to make something RIGHT NOW, but even sewing in a straight line seems totally intimidating. Solution: learn how to make fabric bows! This simple tutorial walks you through some very basic sewing and fabric terminology, teaching you some important basic skills, while also making something you can show off at the same time! But wait! Annika! I don't even know how to use a sewing machine!? Well, this tutorial from With Wendy (along with a great beginner series) has got you covered! 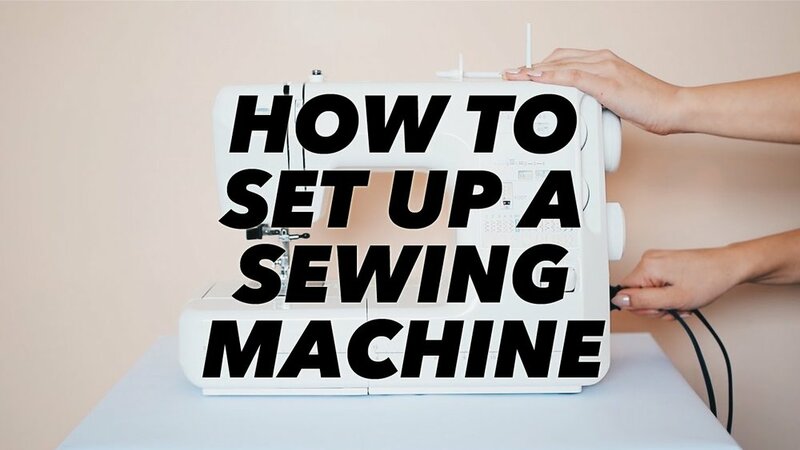 If the little booklet that came with your machine isn't much help, or you're using an older/secondhand machine so you don't even HAVE a booklet, this video should help you out! Handsewing 101 from MADE Everyday - how to thread both "normal" and embroidery thread through a sewing needle. You can also watch With Wendy's tutorial on how to hand sew here. Going to a fabric store for the first time can be totally overwhelming and intimidating. Broadcloth? Rayon? Crinoline? Toile?! What do all of these things mean?! With Wendy has a fantastic overview on fabrics, how to buy them, terminology, wovens vs knits, etc. It's a great resource for both beginners and more experienced sewists alike! If you'd rather read than watch a video, using this Fabric Series from Colette, you can head into any fabric store with a bit more confidence, and also find what you're looking for! What exactly is grainline and bias? Learning About Fabrics 1: The Who, What and How. What is the difference between knit and woven fabrics? When you're learning to sew, elastic can seem very scary. I made this lace cuff tutorial to give you an easy entry to using elastic, and to see how applying elastic affects material! 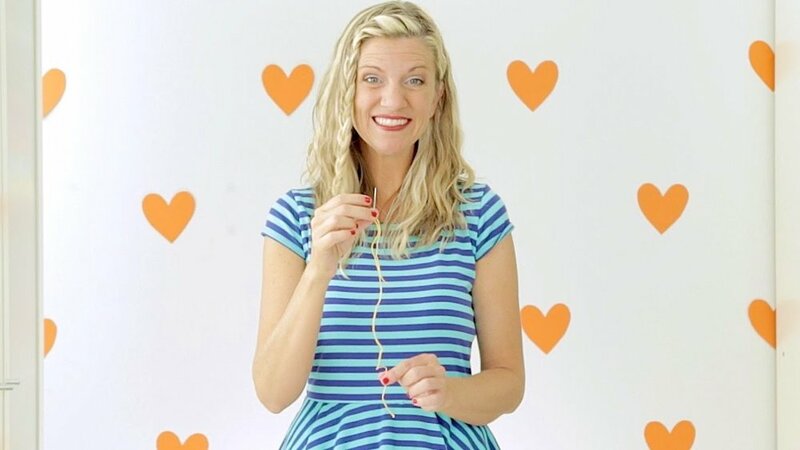 This video by iamKayElle also demonstrates 7 different ways to use elastic. The video-aspect is a bit warped (hey, old school youtube!) but the information in the video is nonetheless useful and to-the-point. Why circle skirts? Because they're extremely beginner-friendly, easy to make, timeless (all that ever seems to change with trends is the length!) and a fantastic introduction into garment-making. I have a couple of videos on circle skirts, that show you the basics! For a great resource with both beginners and some more advanced techniques, tips and tricks, Shiny Happy World has a great section on Embroidery, with a bunch of free tutorials! Once you've mastered sewing a straight line and a seam, maybe made yourself a circle skirt or tote bag and 99 different bows in all different fabrics, you might want to move onto something a bit more challenging! These sewing patterns teach you how to sew and give you an introduction into using commercial patterns, without making them seem totally scary. A company that makes both free tutorials and paid patterns that teach you to sew! Paid patterns - I personally haven't used them (but plan to), but I know a lot of people who love how easy they are! Both free tutorials and paid patterns that are easy to understand, printable, and teach you sewing basics. Their patterns also cover a large range of sizes. Not all of these patterns are necessarily beginner-friendly, but this page lists companies that make plus-sized commercial patterns, and The Curvy Sewing Collective is also a wealth of information on sewing and patterns for plus-size bodies! The Jasmine Bralette by OhhhLulu is a great pattern for learn how to sew a bralette. There is also an accompanying sew-a-long by Annika showing you how to turn the pattern into a swimsuit! What is a good beginner's sewing machine? I can only recommend from my own experience, but I have found the Brother JS series (either the 1400, 1700 or whatever is the newest available model!) to be affordable and easy-to-use. It usually retails for around $100-$200, and has all the stitches you'll need for the first few years of sewing. It's best on woven (non-stretchy) fabrics, however, so if you want to get straight into lingerie, swimsuit or knit-fabric construction, you might find it a little bit frustrating. They also don't tend to last very long (a beginner Brother machine might last you 5 years if you're lucky). If you want to take it a step up, you might want to look into a semi-computerized or computerized sewing machine. I currently own the Bernina Bernette Oxford 6 which retailed (at the time) for around $300-$400. It is one of the beginner Bernina machines, however it's able to handle much more complex fabrics and has a LOT more stitch functions than a really basic machine like the Brother JS series. I've had mine for 4 years now and with regular care and cleaning, it still functions as-new. It is a machine that took my sewing from "beginner" to "intermediate", allowing me to sew things like knit fabrics, lingerie and swimsuits with more ease. And, finally, you can also watch this playlist of Annika's videos which has been made for total beginners. The videos are ranked in increasing difficulty, for both instructions and inspiration as you begin on your crafting & sewing journey! 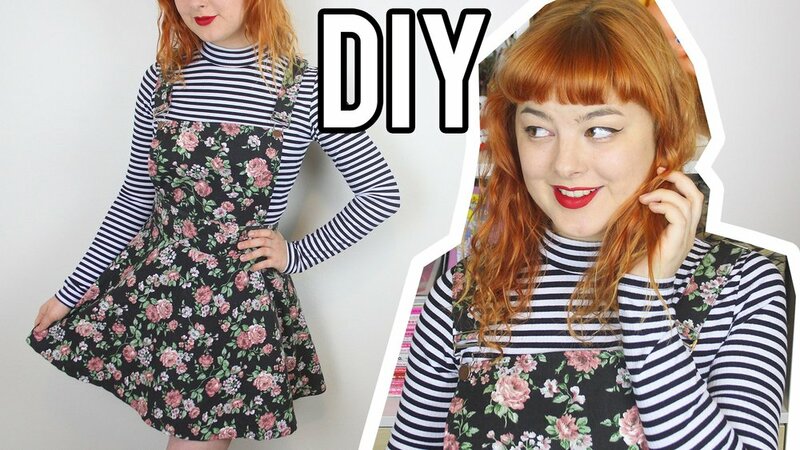 If you're confidently able to sew in a straight line, have some idea of how seams work, can sew two pieces of fabric together and you're looking for more of a challenge - check out the playlist I've made that's a step-up from beginner! This is my "confident beginner" playlist, to come and browse through once you've gotten more familiar with a sewing machine. Alternatively, watch the playlist on youtube HERE.